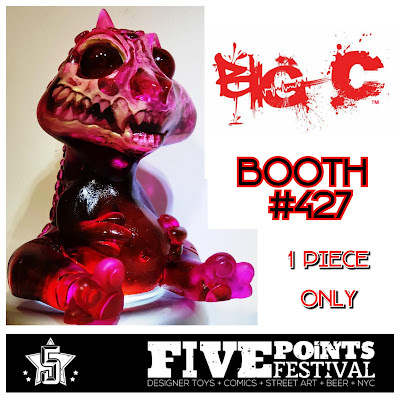 Big C is pulling out all the stops for Five Points Festival 2018, where he will be sharing booth #427 with Playful Gorilla. Along with a ton of other releases, Big C will be dropping two fantastic Five Points Festival 2018 exclusive Baby Fatts resin figures! 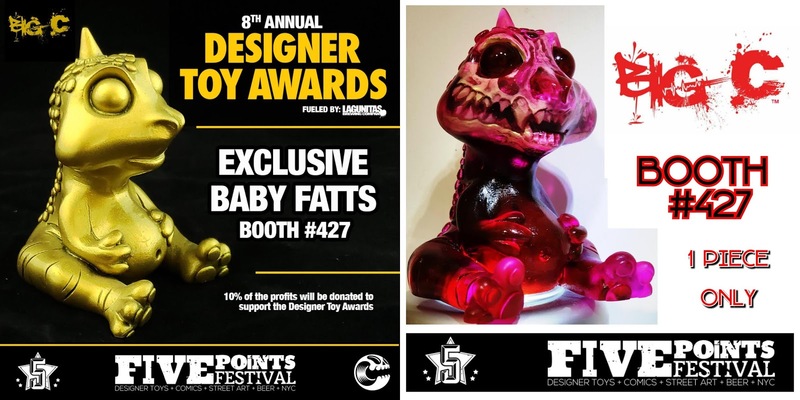 First up is the Gold Designer Toy Awards Edition Baby Fatts resin figure, which is a collaboration with Clutter Magazine. This super shiny colorway is limited to just 5 pieces and 10% of the profits from this figure will be donated to support the 2018 Designer Toy Awards! 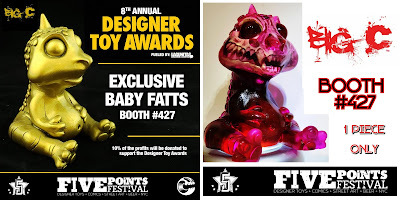 Then there is this epic Red Infected Baby Fatts resin figure, which is a collaboration with the skeleton wizard Scott Wilkowski! There will only be one of these available so be sure to head to booth #427 as soon as the convention opens if you hope to add this Big C x Scott Wilkowski Infected collab to your collection.